Nice and very underground industrial, experimental, minimal and ambient release compiled by M.A.O. Featuring Knœd, Dogpop, Orgonautic, Maya Nadir, Gerechtigkeits Liga, Swollen, M.A.O., SaturmZlide, Zero Degree / Instinct Primal, Deutsch Nepal, DJ Tarnnetzgott, Tränen der Sehnsucht, Gravastar, Tonal Y Nagual and Echo West. 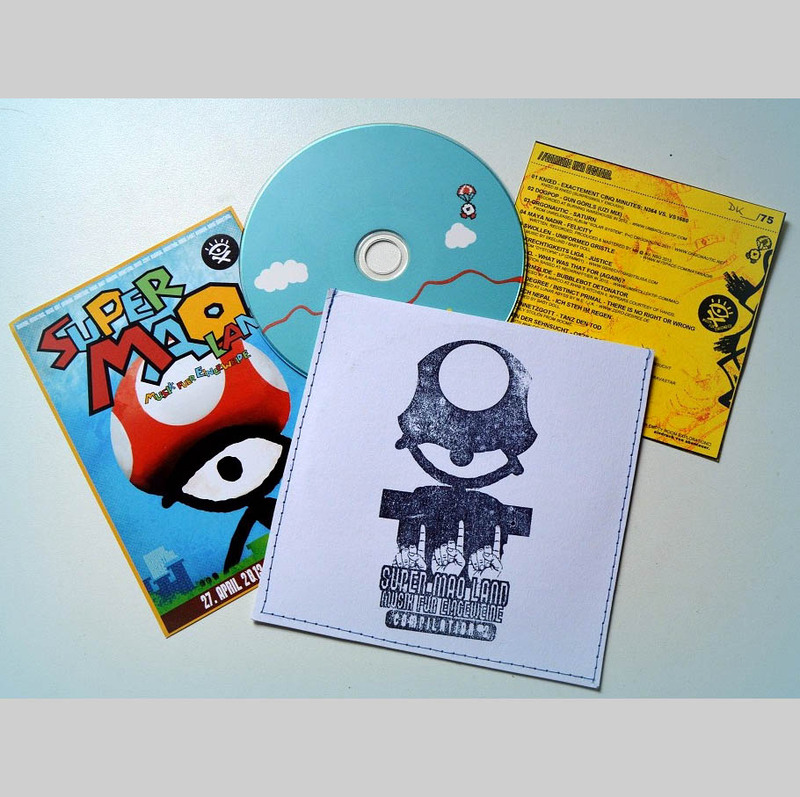 Each full printed CDR comes in an unique handmade & stamped cardboard sleeve with inlay. This compilation was released and first sold on the second "Musik für Eingeweide"-party on april 27th 2013 at the New Force club, Erlangen, Germany. Limited edition of 75 handhumbered copies.